Tokyo Jungle, When Vikings Attack, and more! Contrary to the beliefs of some multi-billion dollar corporations, some people still play games offline. They may not have an internet connection, but they still have taste. Heck, they may even have an internet connection, but maybe they simply don't want to pipe their personal information into the enigmatic labyrinth of tubes and "security" measures that makes up online stores. Sony is hooking up our netless (or untrusting) brothers and sisters in digital arms with a retail compilation of their most popular PlayStation Network digital titles. The Best of PlayStation Network, Vol 1 features four fantastic titles which were previously only available via download from the PlayStation Store. 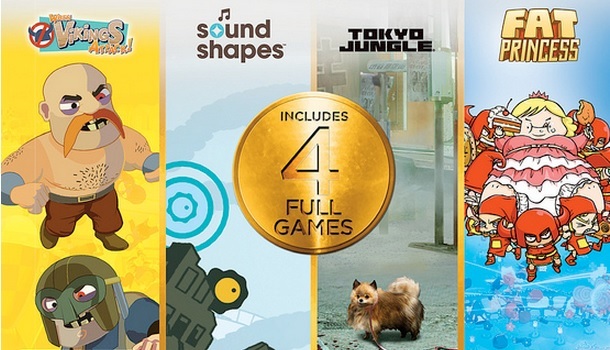 When Vikings Attack!, Sound Shapes, Fat Princess, and one of my personal favorite games from last year, Tokyo Jungle, are all included. The PlayStation Blog was thoughtful enough to include each game's launch trailer. I'm going to follow their lead, and as an added bonus I'll include each title's co-op information when applicable. When Vikings Attack supports four player local co-op. You kind of smash each other up, too, so it's kind of a combative style of co-op. I like this game. It reminds me of when my dad taught me how to fight; "Son, pick up the heaviest thing you can lift above your head. Then smash the other guy in the face with it." Memories. Sound Shapes doesn't have co-op. This makes me sad. Seems like a pretty groovy title for solo play. I guess you can always hand a disconnected controller to your baby, cat, favorite shoe, or stupidest friend and pretend it has co-op. Fat Princess is an oldie but goody. It features four player local co-op, but it's mostly a versus game. Play as one of five different classes in a epic battle to save your rotund ruler. Feed your adversaries' captured colossus to make it more difficult for them to free her. Obesity is hilarious. Tokyo Jungle is one of my favorite titles on the PlayStation Network. It features two player local co-op where the second player tags along for the adventure. While it's not an ideal co-op title (read our Co-Op Review for more info), as a game it's a totally unique experience. Survive, die, or thrive in the urban jungle as you play as a wide variety of animals including a Pomeranian, a cow, or a even a tiger. Here's a hint: If you're playing as a Pomeranian, don't try to eat the tiger -at least not right away. We first brought you news of the potential bundle back in April, but now we have a concrete price and release date. 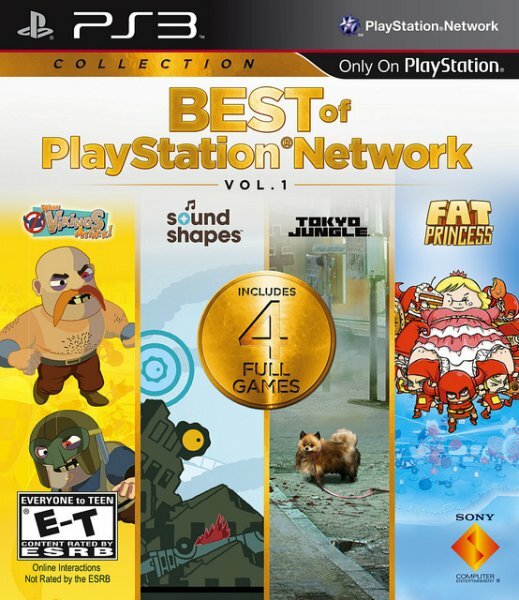 The Best of PlayStation Network, Vol 1 will arrive on store shelves on June 25th. It will cost $39.99. I should note this disc includes only the PS3 versions of the games and they will require an HDD install. It does not include extra DLC or the Vita versions. Page created in 0.8066 seconds.